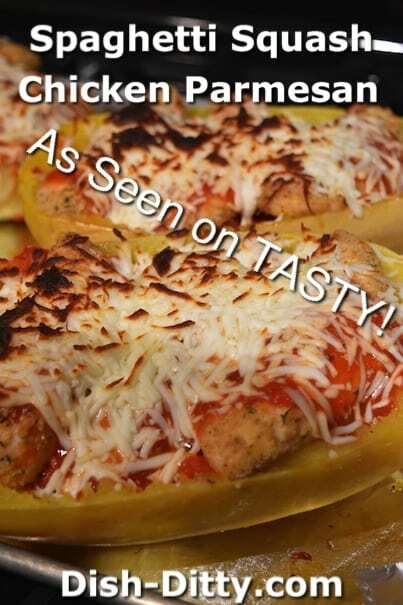 Spaghetti Squash Chicken Parmesan Recipe As Seen On TASTY! We’ve all seen the videos, and this one from Tasty was a winner. I adapted it slightly to be a little lighter. Either way it was a huge hit! No one missed the bad for you pasta! 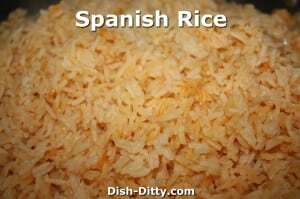 The video is pretty quick, so I broke down the recipe for you. I did change up how to do the chicken. 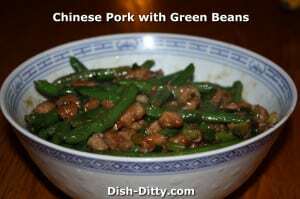 As much as I love fried chicken, I wanted to make it a little healthier. So I did a quick baked chicken tenders instead. 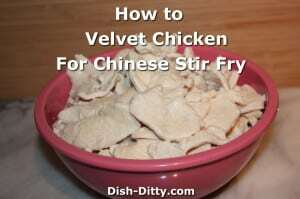 You can choose to fry the chicken if you prefer using their method. The end result was fantastic. 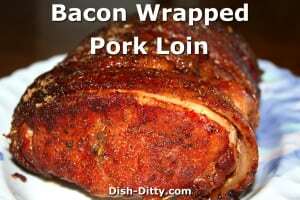 My husband and 13 year old son loved it and said they’d eat it anytime. 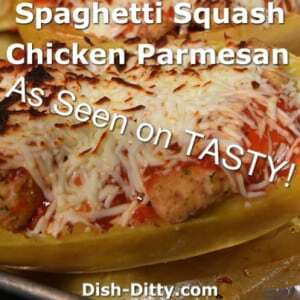 I’ve never done spaghetti squash but had plans to. 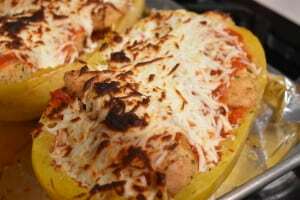 The last time I tried it, I couldn’t cut the squash in half. The trick to pre-bake it in the microwave worked great. I found that 3 minutes was too short, so go for the full 5 minutes. 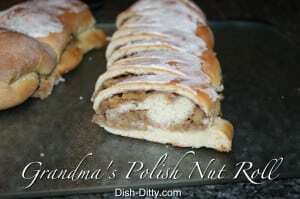 So, I fully suggest you try this recipe at home. 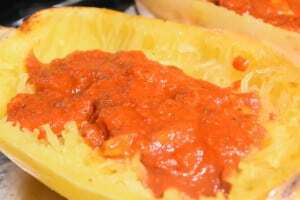 But be warned, it is a bit time consuming as it takes about 45 minutes to prepare the spaghetti squash. 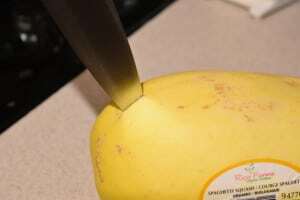 Score squash by puncturing it with a knife. Microwave for 5 minutes to soften so you can cut into it (otherwise, good luck). 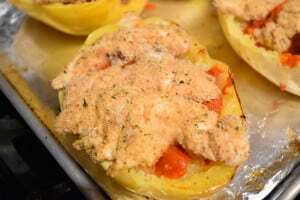 Cut squash in half and scoop out the seeds and innards. Brush Garlic Olive Oil onto flesh of squash. Sprinkle with Salt & Pepper. Place face down and roast in oven at 375 degrees for 45 minutes. 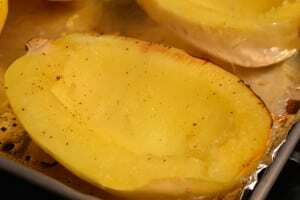 While squash is baking, in a large bowl, beat the eggs with milk and a couple dashes of salt & pepper. In another bowl, place 1/2 the breadcrumbs. 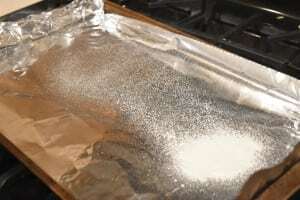 Put some tinfoil down on a cookie sheet and spray liberally with Cooking Spray like Pam. 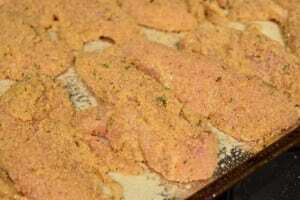 Sprinkle chicken lightly with salt & pepper. Dip in the eggs. 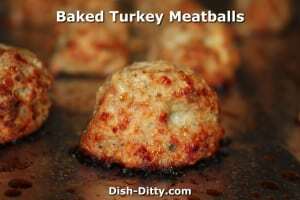 Then dip in the breadcrumbs and place on the tinfoil. Do this for all the chicken tenders. Spray the chicken tenders liberally with pam. 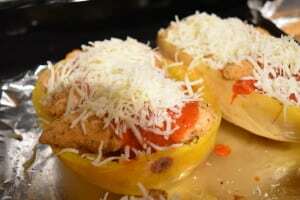 Place in the oven with the squash and set another timer for 20 minutes. 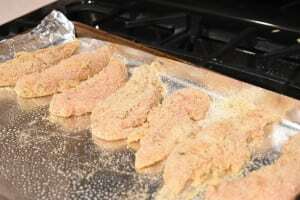 Bake at 375 for 20 minutes, removing the chicken tenders when done and the squash when done (they should be done close to the same time, it depends on how long it took you to prep the chicken tenders). 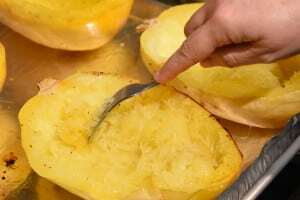 Using a fork, scrape the inside of the squash which will come off like spaghetti noodles (hence Spaghetti Squash). 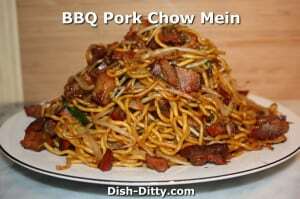 Do this until most of the flesh is revealed as spaghetti. Do not puncture the outer layer. Pour some of the sauce over the forked squash. Place 3-4 chicken strips on top of the sauce. And broil on High for 3-5 minutes or until cheese is melted and starts to brown. Remove and EAT! Enjoy! 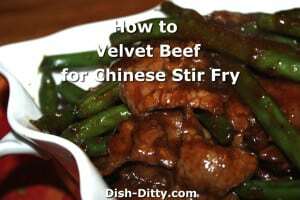 By author Adapted by Dish Ditty Recipes from Tasty! 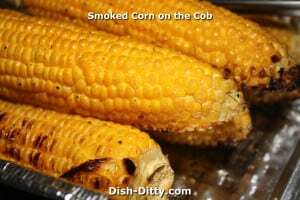 Preheat oven to 375 degrees F. Score squash by puncturing it with a knife. Microwave for 5 minutes to soften so you can cut into it (otherwise, good luck). 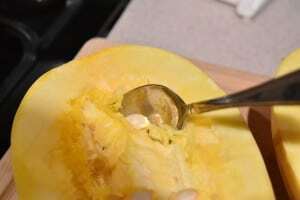 Cut squash in half and scoop out the seeds and innards. Brush Garlic Olive Oil onto flesh of squash. Sprinkle with Salt & Pepper. Place face down and roast in oven at 375 degrees for 45 minutes. 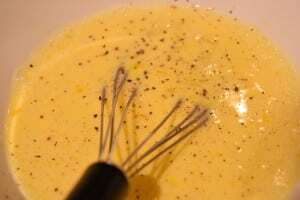 While squash is baking, in a large bowl, beat the eggs with milk and a couple dashes of salt & pepper. 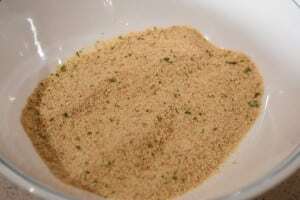 In another bowl, place 1/2 the breadcrumbs. 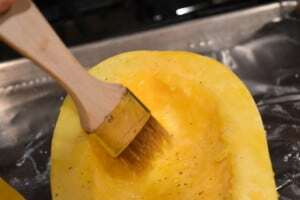 Using a fork, scrape the inside of the squash that will come off like spaghetti noodles (hence Spaghetti Squash). 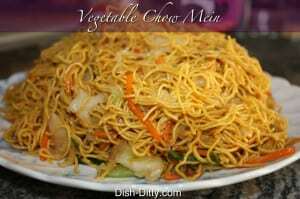 Do this until most of the flesh is revealed as spaghetti. Do not puncture the outer layer. 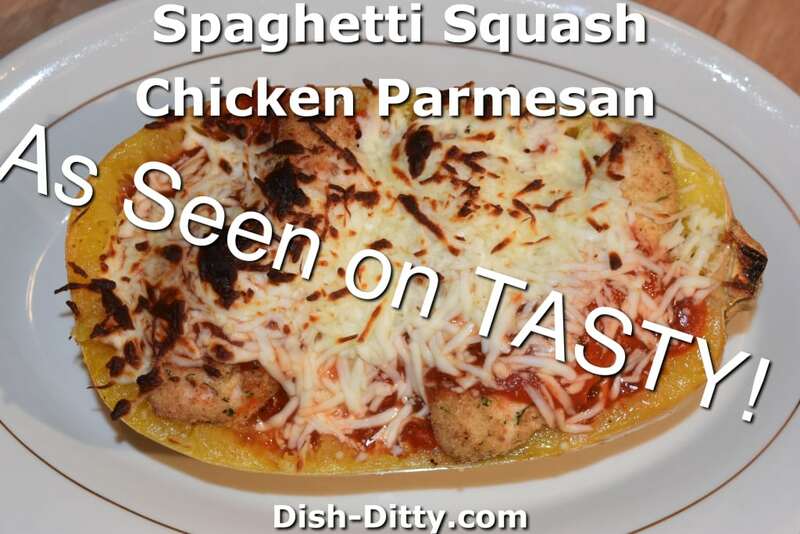 No Replies to "Spaghetti Squash Chicken Parmesan Recipe As Seen On TASTY!"